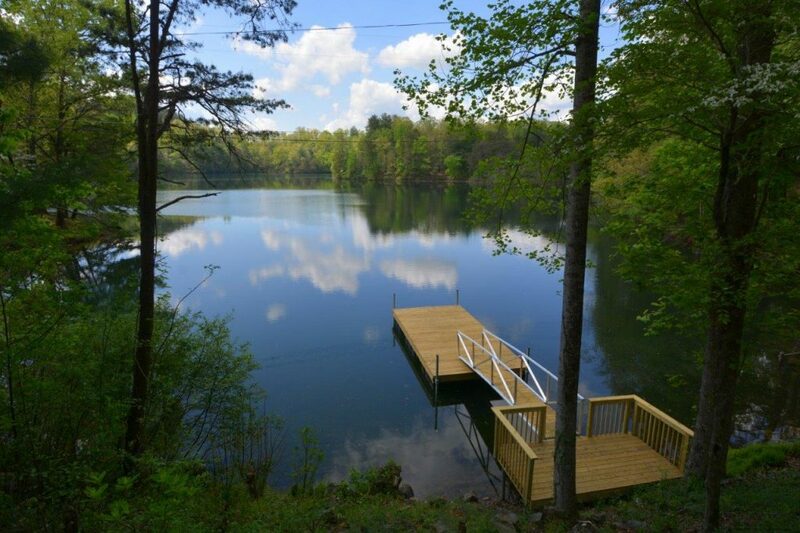 This extraordinary Santeetlah Lake property offers unparalleled waterfront living on a 0.17-acre lot with a 2,249 sq. ft. home that is just feet from the lakeshore. Built in 2014, the timeless style of this three bedroom, three bathroom home reflects a Southern charm while the systems and services are state of the art. Step into the foyer and embrace the fantastic Lake Santeetlah views which were the draw and inspiration throughout the living space. The home’s exceptional design and outstanding quality are evident at every turn and include superior materials, custom millwork with intricate details, and the high end appliances. The interior spaces’ volume and geometry, created through soaring ceilings, curved lines, and extensive glass windows and doors, take advantage of the incredible lake and mountains views. 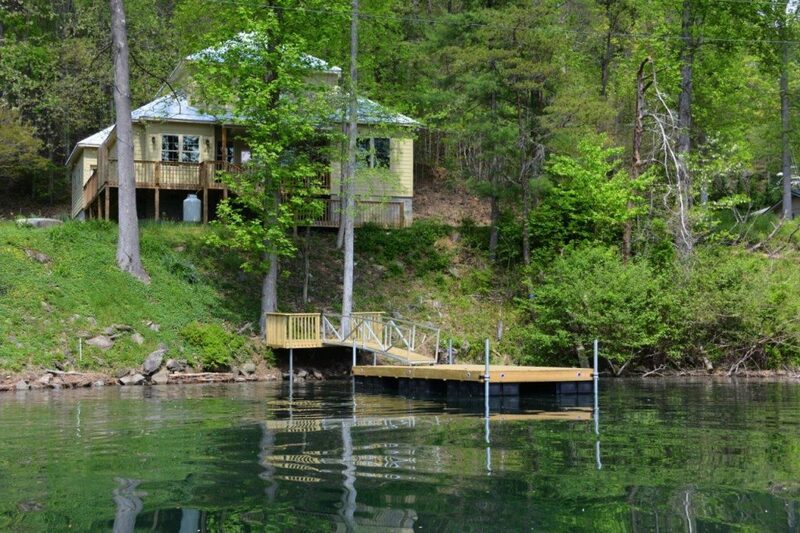 The interior is reminiscent of a classic waterfront cabin with its light colored pine flooring. 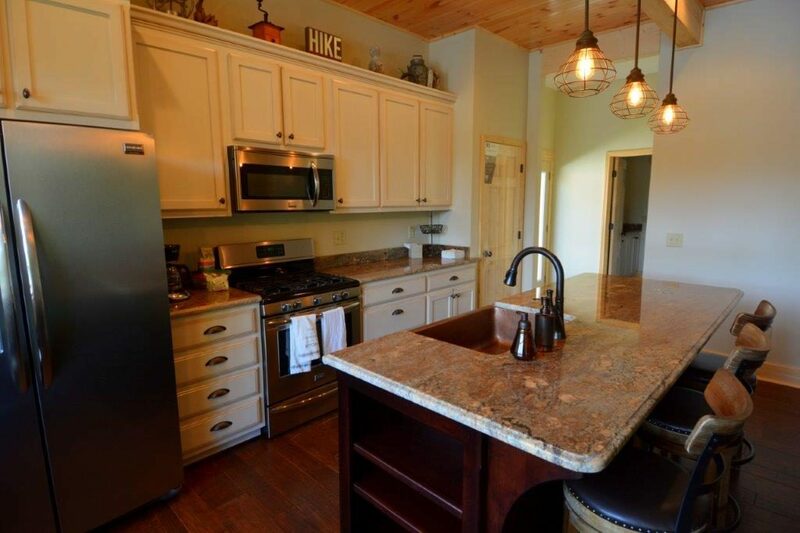 An amply sized kitchen features a large island, granite counters, and opens into the great room. The great room has vast windows that look out onto the lake, a high beamed ceiling, dining area, gas fireplace surrounded by built-in bookshelves and storage. 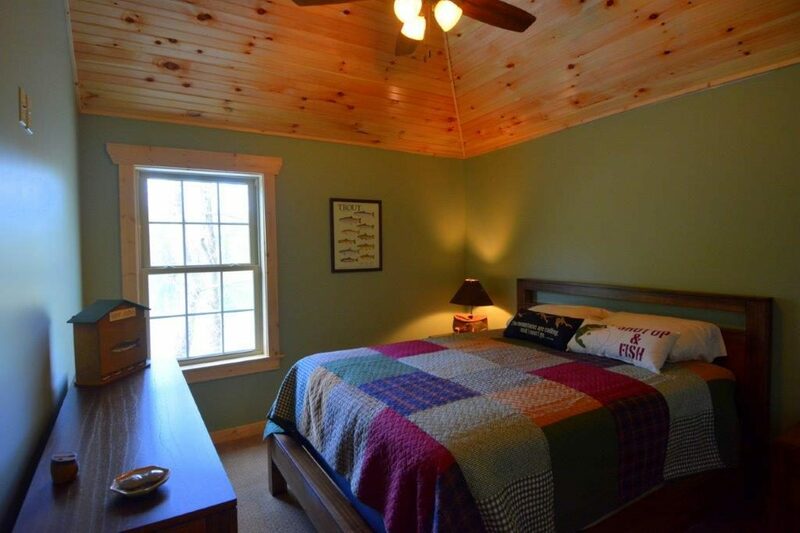 Located just off the great room is the main level Master Suite. The large room features a sitting area with stunning lake views, an in-suite bath with a jetted tub, dual vanity and a walk-in closet. 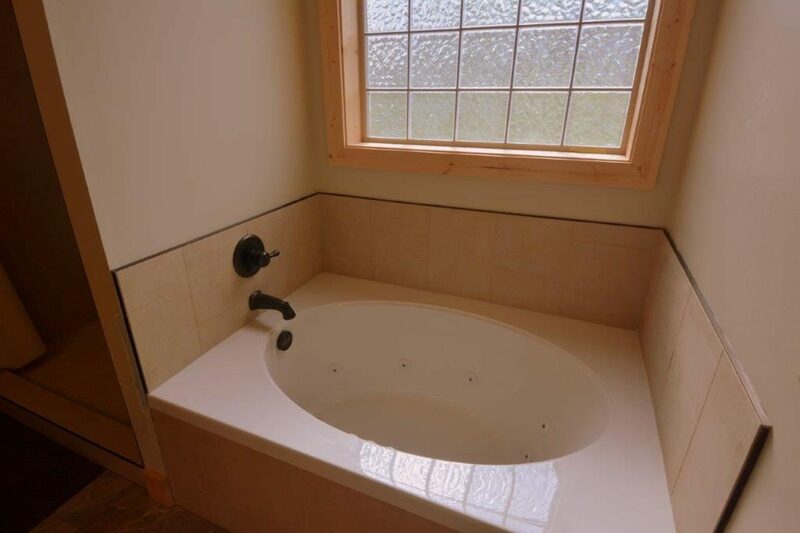 The main level also includes a guest’s bath, ample storage closets and spacious laundry/mud room. 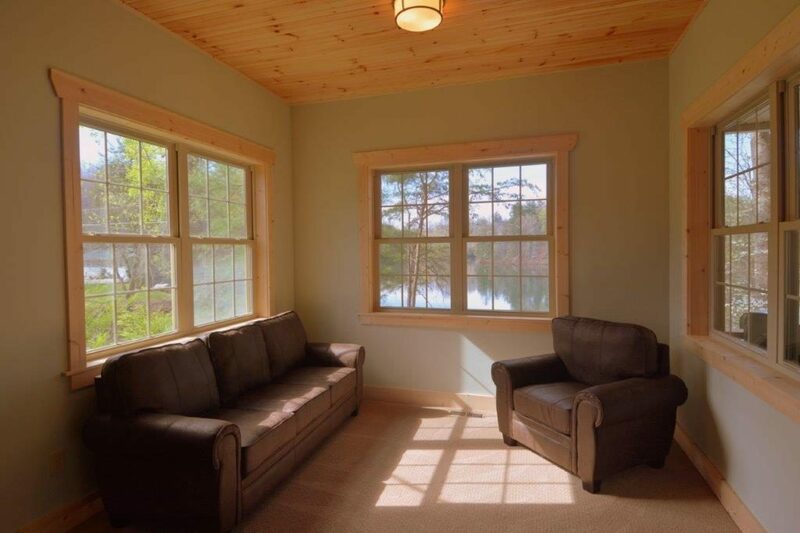 The upper level offers a wonderful loft sitting space which is flanked by two lake view bedrooms with walk-in closets as well as a full bath. The same thought and craftsmanship continue with the home’s exterior clad with HardiePlank and a metal roof provides for low maintenance while continuing traditional, timeless Southern design. The sundrenched deck offers the perfect place for outdoor entertaining while enjoying the waterfront and private dock. 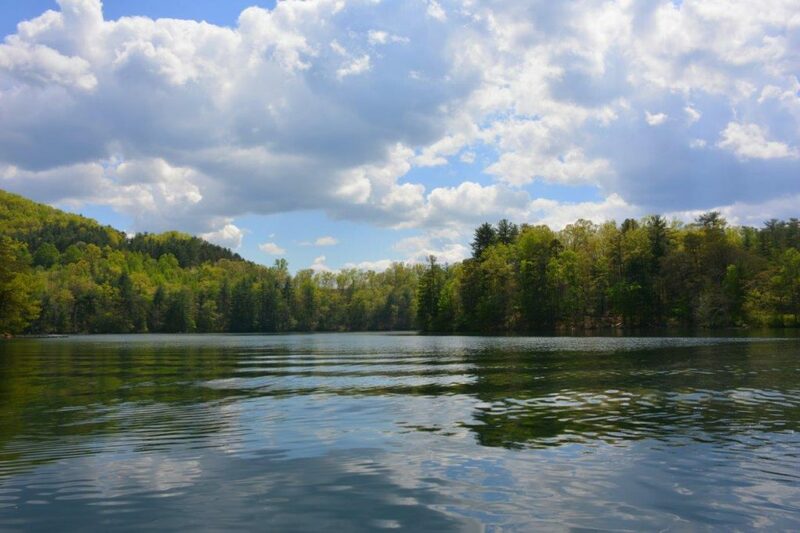 Property is located in the midst of the Nantahala National Forest where you can enjoy hiking, biking, and fishing. 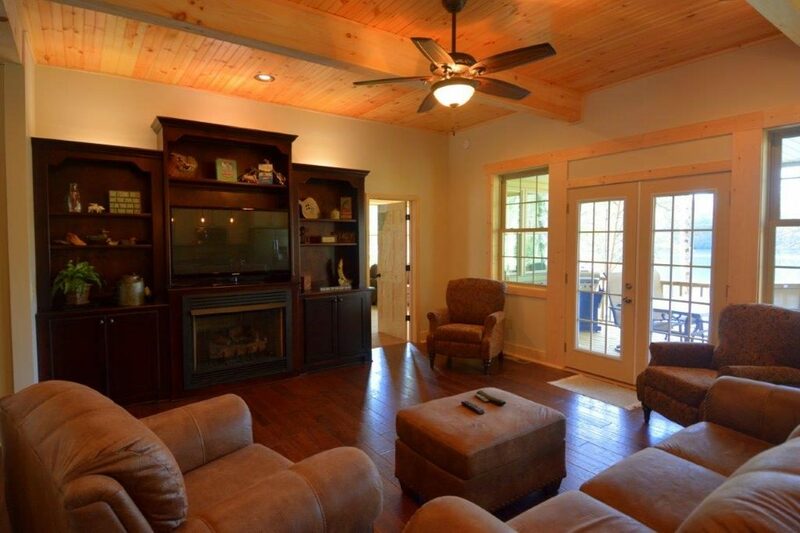 Make this home your personal retreat, second home or vacation rental.